Is there a future in which every electronic device is made by Asus? We certainly wouldn't bet against it, as the Taiwanese giant has developed a habit of venturing into every product category you can think of. And with considerable success, too. One of the company's most recent forays has been into the world of network-attached storage. This is a marketplace fiercely contested by a number of Taiwanese brands and though Asus has the financial clout to ruffle feathers in any arena, it's going up against experienced and established competitors. Asus has never been one to shy away from a challenge, however, and as a signal of its intent, it hasn't just launched one or two products to test the NAS waters. Instead, in 2011 it created a whole new subsidiary, dubbed Asustor, whose goal is to take the fight to Qnap, Thecus, et al. To get the party started, Asustor has introduced a range of devices under a 6-series umbrella that touts the "perfect union of hardware and software." 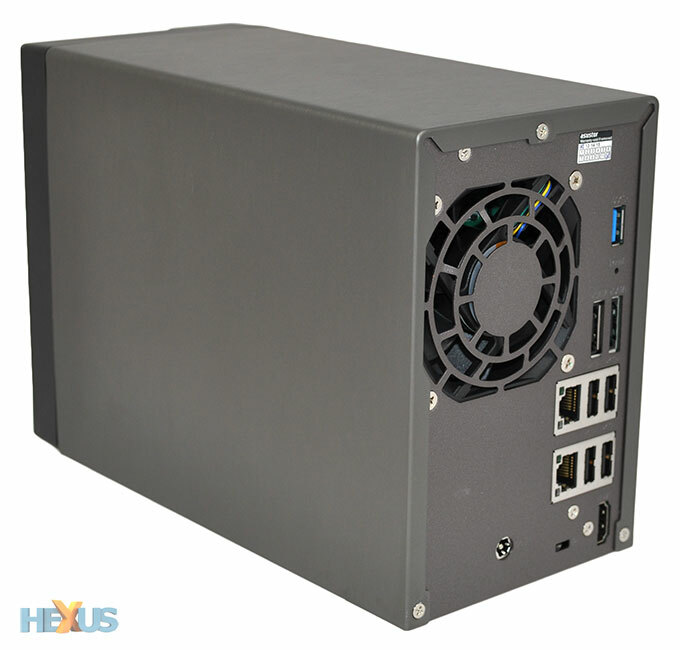 For the home or small-business user, four desktop NAS solutions are available - the AS-602T, AS-604T, AS-606T and AS-608T - offering two-, four-, six- and eight-bay capacities, respectively. Each box is powered by a dual-core Intel Atom D2700 processor, 1GB of RAM (upgradeable to 3GB) and an in-house-developed, Linux-based operating system that utilises apps. We've been sent the £399 dual-bay AS-602T to play with, and to our pleasant surprise, the product feels polished throughout. It certainly doesn't have a first-generation feel about it, and you get the impression Asustor knows exactly what it wants to achieve. In terms of the box itself, the company has adopted a Qnap-like approach for aesthetics and build quality, resulting in a compact 163.5mm (H) x 108mm (W) x 230mm (D) that's both attractive and well built. Alongside a handy front-facing USB 3.0 port, five LED status indicators can be found along the front-left edge, providing at-a-glance activity information for power, hard disks, network and USB. The LEDs are dazzling in their out-of-the-box configuration, but it's possible to reduce their brightness or turn them off completely via the well-thought-out operating system - more on that later. The rest of the AS-602T's front face is dedicated to the drive bays, both of which slide out easily after pressing a push-to-release button that ejects a drive from the hot-swappable SATA 6Gbps backplane. There's no lock on either bay and the trays aren't numbered - so you'll need to remember which one's which - but the metal bodies again feel well built and there's support for your choice of 2.5in or 3.5in drives. 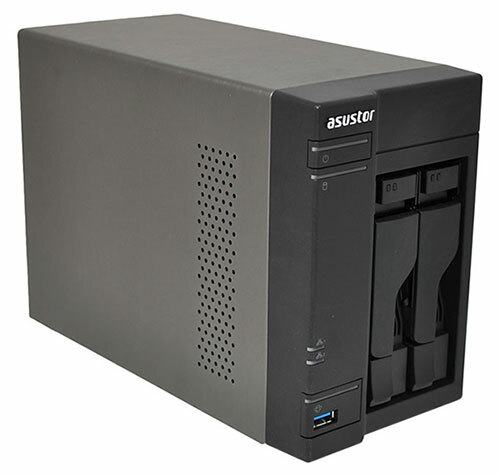 Around the back of the device, Asustor's well-stocked range of connectivity options includes another USB 3.0 port, two eSATA connectors, four USB 2.0 ports, dual Gigabit Ethernet (with support for link aggregation and load balancing), HDMI output, a Kensington lock and a connector for the bundled external power supply. A 70mm fan, meanwhile, provides cooling for the entire unit. The AS-602T ticks many of the right boxes for a high-performance, dual-bay storage server, but as with any NAS, the hardware is only one piece of the puzzle.